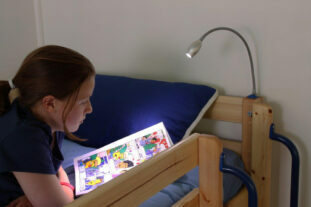 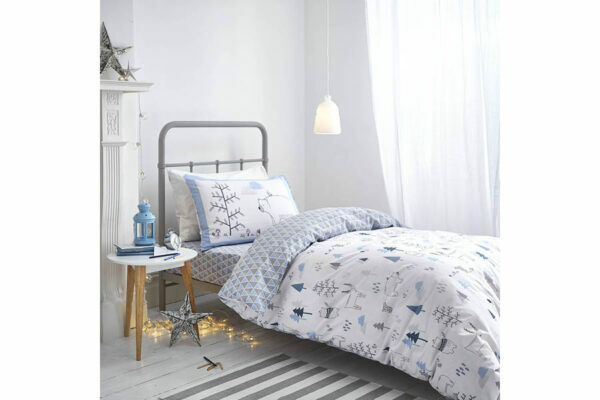 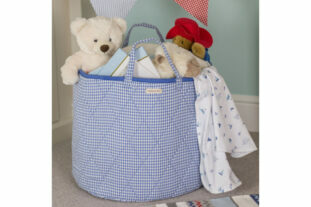 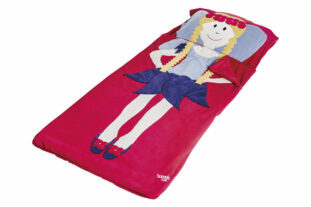 The Blue Nordic Duvet Set is a real Room to Grow favourite. 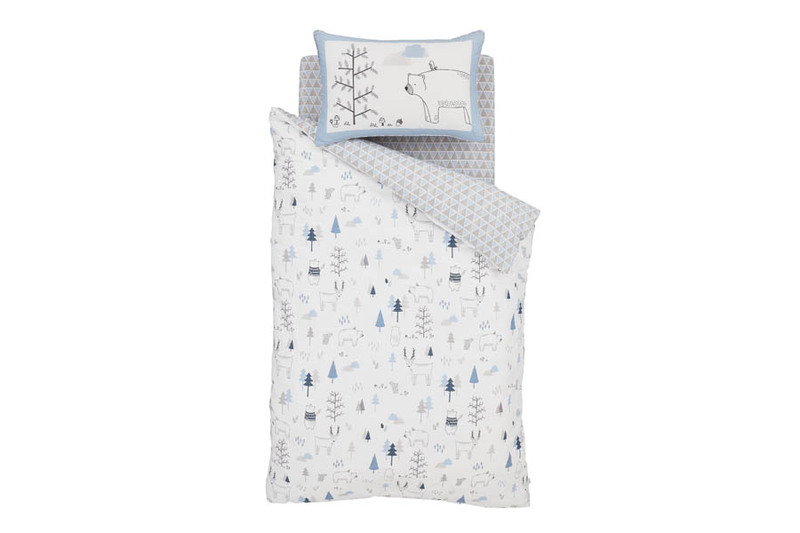 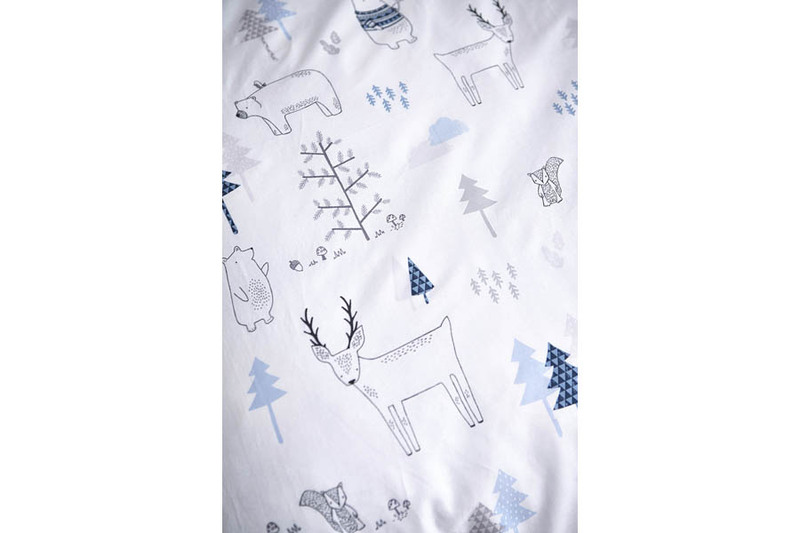 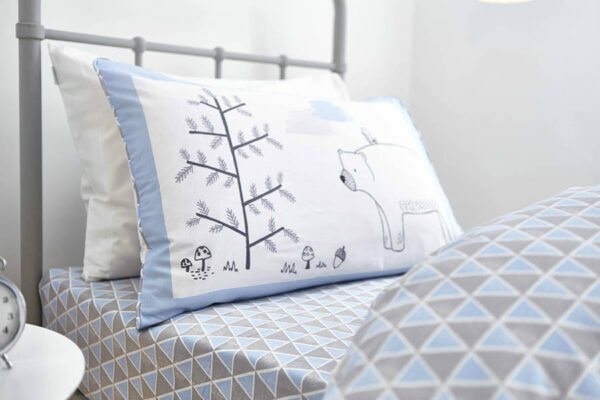 The fabulous Blue Nordic fully reversible duvet cover is beautifully printed with it’s cute and quirky woodland animals and colourful tree’s on one side and then finished with a lovely blue and grey geometric pattern on the other side, the pillow case has different woodland scenes on each side. 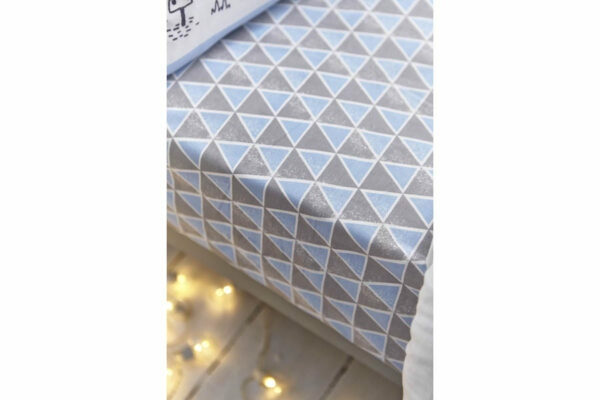 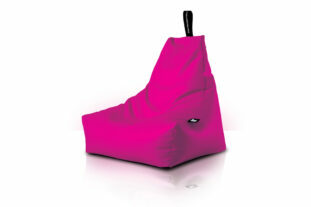 Also available an optional geometric fitted sheet that matches perfectly.